This book engages a truly international group of distinguished Bion scholars, offering a wide variety of contemporary clinical and theoretical explorations and extensions of the seminal work of Wilfred Bion. Readers will discover personal accounts of contacts with Bion and his ideas, including an extensive report of an analysis with Bion, as well as previously unpublished supervisions that Bion conducted in Brazil in the 1970s, with commentaries by contemporary analysts. 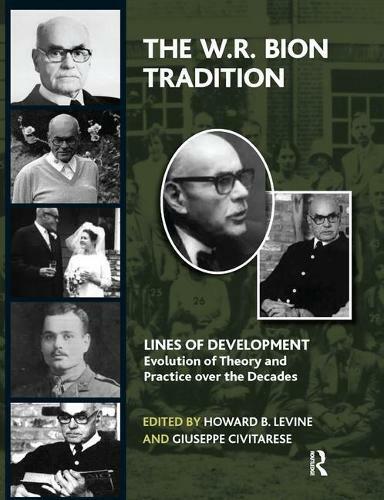 The book also includes detailed case reports and theoretical discussions on a wide variety of topics including autism, psychosomatics, representation, field theory, psychosis and truth; and essays on Sense, Myth and Passion, the late papers, groups and aesthetics.For both experienced analysts and candidates, for those already familiar with Bion and for neophytes, The Bion Tradition should serve as an essential and up-to-date resource for study, thought and exploration.